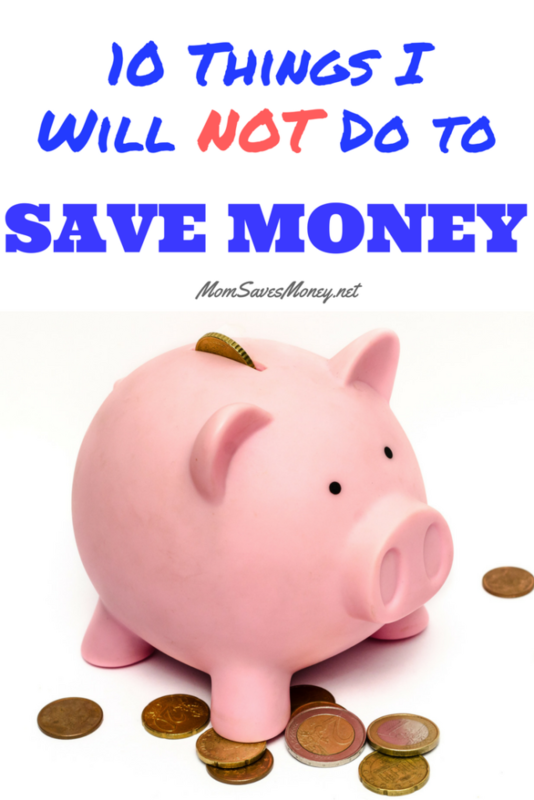 10 Things I Will NOT Do to Save Money! I am very frugal and love living well below our means. I get excited when I find an amazing clearance or score a great deal with coupons. I love saving money so much that I even started this blog and teach classes that help others live frugal lifestyles. You would think I would save money in any way I can, but that’s not the case. 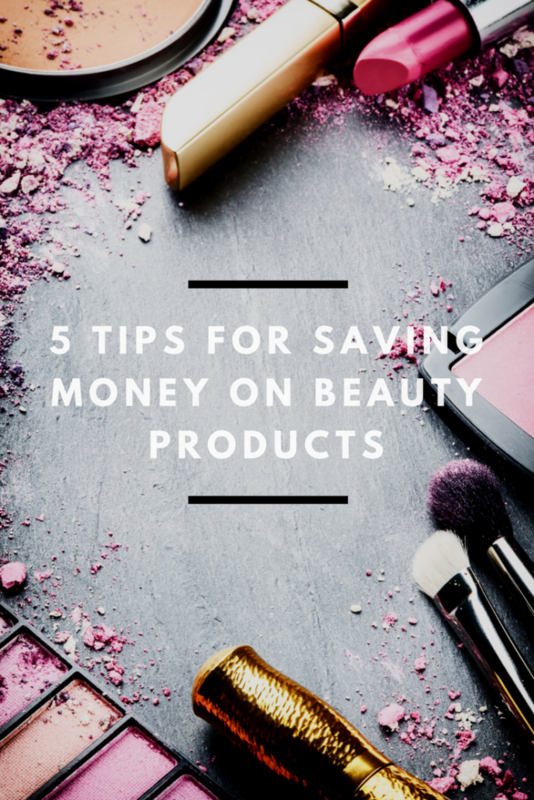 Even as frugal as I am, there are few things I absolutely refuse to do to save money. 1. Under Tip – If I am eating out at a restaurant, I always tip at least 20% of my total bill. 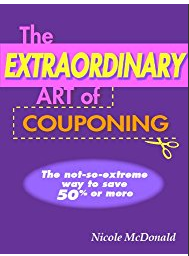 And, I make sure to calculate that tip BEFORE any discounts or coupons are applied. Waiters and waitresses work hard for their income. I believe if you can afford to eat out, you can afford to leave a decent tip. This also applies to tipping at salons. Be generous to others who provide services for you. 2. Skimp on Coffee – I love coffee. Coffee is my lifeline. I need coffee to stay sane. While I don’t get pricey $5 pre-made drinks daily, I do enjoy a GOOD cup of coffee. I buy premium flavors and brands and usually brew it at home. There is no amount of creamer that can make some coffee brands taste good (trust me, I’ve tried.) Coffee is one of my daily pleasures and something I’m not willing to sacrifice to save money. Sometimes it’s the little things in life that make us happy. Coffee does that for me. 3. Slack on Insurance – While it’s tempting to get a low cost, low-coverage insurance policy, being fully prepared for tragedy or disaster is so important. Without adequate insurance, storm damage, a car wreck or medical emergency can easily bankrupt the average family. I make sure to have policies with affordable deductibles and good coverage to protect my family and our belongings. 4. Shop at Multiple Stores – There are so many good deals every week and it’s tempting to drive across town to get all the deals. However, I’ve found that shopping at multiple stores costs more money in gas and too much time. I might save a few more dollars, but it’s not worth it to me to shop more than once or twice a week. 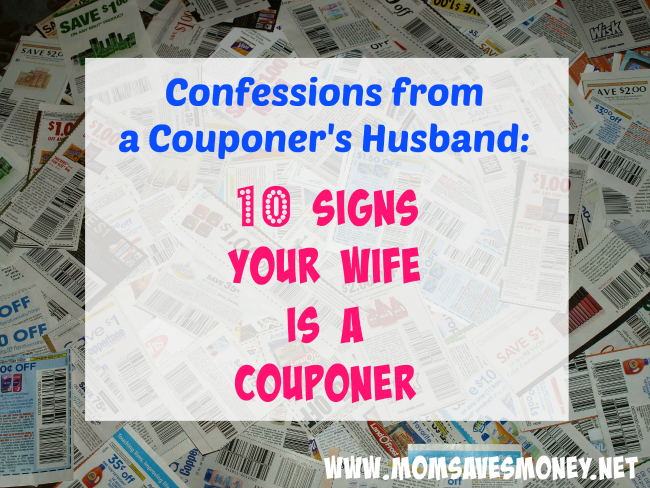 In fact shopping too often is one of the top 10 mistakes couponers make. 5. Suffer Indoors – We have air conditioning and heating for a reason. I know I could save money by adjusting the thermostat. But freezing in the winter and being a miserably hot in the summer is not for me. I like being comfortable indoors and will pay a little extra every month for that comfort. 6. Eat Unhealthy – Fruits and vegetables are an important part of my diet and are also the most expensive items at the grocery store. You definitely save money by eliminating them from the grocery bill, but I like eating healthy with my family. 7. Not Flush the Toilet – I know this is gross, but there are frugal people who do not flush the toilet every time they use it to save money. (As they say – “if it’s yellow, let it mellow.”) This is a deal breaker for me. Gotta flush every time. Now, if my youngest son would just remember this. 8. Skip Car Maintenance – We keep cars for years. In fact, my current van is 13 years old and has 130,000 miles. It’s so nice to not have a car payment. To keep our vehicles running at optimum level we do regular maintenance and oil changes. Even the big 100,000 mile maintenance that cost a little over $1,000 was still cheaper than buying a new vehicle. It’s worth it to maintain the vehicles and go as long as possible without a car payment. Bonus, is insurance costs and wheel taxes are typically much lower for older vehicles. 9. Buy Everything Used – I buy lots of stuff used, but there are certain things I only buy new. Safety equipment, like helmets and car seats, I only buy new to ensure they are safe and have never been in an accident. 10. Do My Own Taxes – Taxes for self-employment are complicated and always changing. I could definitely save a few hundreds dollars every year by doing them myself. However, to me it’s not worth the stress. This is an annual task I happily pay someone else to do. I’d love to hear from you. What things will you not do to save money?